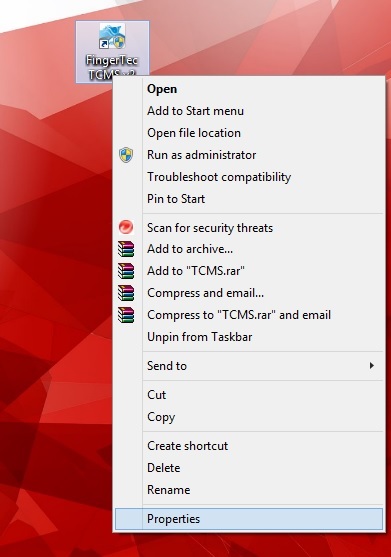 Using the TCMS V2 on a PC that is running on Windows Vista, Windows 7, Windows 8, and Windows 10, can occasionally cause some glitches. Due to the extra security features that are built into the newer operating systems, an error message will pop up regularly when you launch TCMS V2 software. 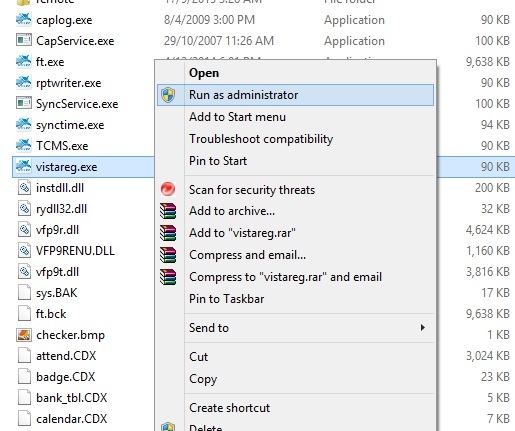 This is because the program files and system registry files on these Operating System (OS) are protected, and running the TCMS V2 requires access to these protected files. To prevent the prompting of the error messages and to ensure that the TCMS V2 is running smoothly on your OS, there are a few steps that need to be taken. By performing these steps, users will be able to launch TCMS V2 software without encountering the “Required Active X is not registered properly or is outdated” error message. 4) Once done, return to your desktop, and right-click at TCMS V2 icon, then select “Properties”. 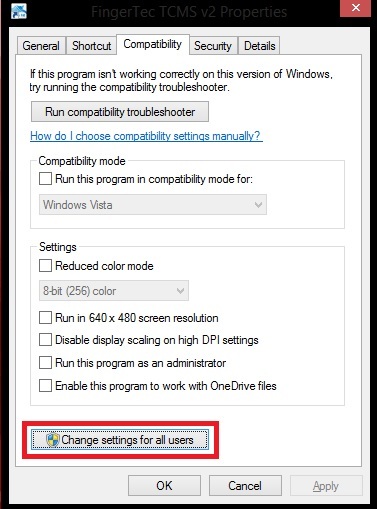 5) Go to “Compatibility” tab, and click on “Change settings for all users”. 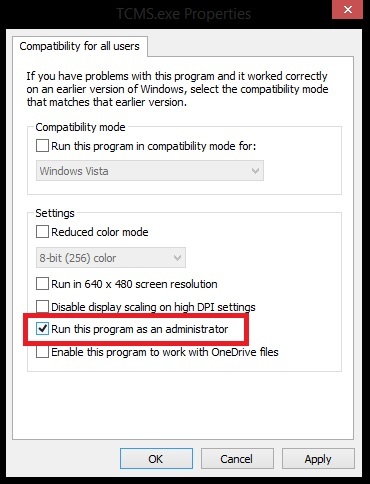 6) Check the “Run this program as an administrator” option, then click “Apply” and “OK”, and the problem will be out of your site. Please note that you must NOT delete the TCMSv2 folder in your local drive, to avoid missing data. As long as the TCMSv2 folder remains in your local drive, your database will remain.